City is Stressless like you’ve never seen it before! With its stylish rotating steel base and fresh lines, this series combines the tradition of comfort with flawless finish, high grade leathers and vibrant colors that instantly invigorate your decor. The Highback edition is perfect for socializing with friends and family, setting a relaxed yet distinguished ambiance, with comfort and style. 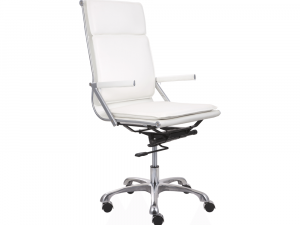 Available in a wide variety of fabrics and leathers as a Highback or Lowback office chair. 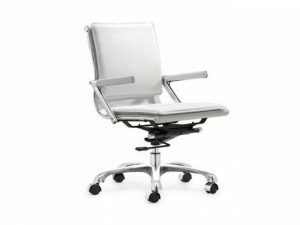 Office, Office Chairs, Stressless, Chairs. 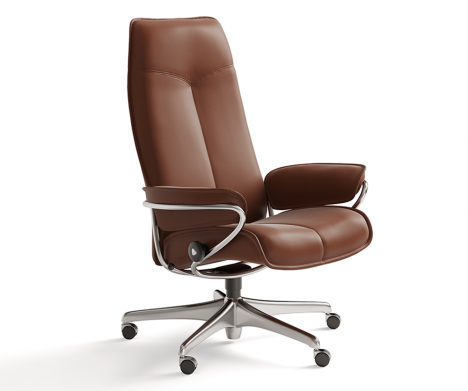 City Collection, Ekornes, Stressless, Stressless Toronto. This collection is part of our Stressless Gallery. Custom order in-store in fabric or leather. Dimensions: Multiple customization options. Please call to inquire. Inspired by the NYC at the turn of the industrial revolution, this office desk lends clean urban style in any type of setting. 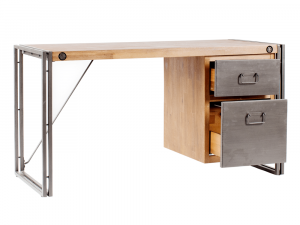 Crafted with solid acacia wood and powder coated steel, the desk features a built in cabinet with one utility drawer and one filing drawer; keeping you on trend and organized. Smart and stylish. 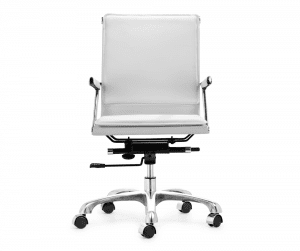 Contemporary high-back office chair available in black or white, with chrome finish. Collection available to custom order in-store. This funky modern 4 level book case meshes with a variety of home decor styles and brings excitement to any room. 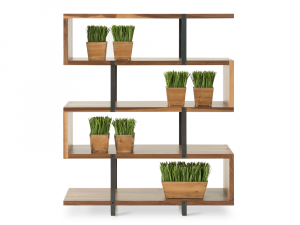 Featuring a zig zag profile, the book case is made from solid walnut wood in it’s natural finish. Available to custom order in alternate finishes at no up-charge. 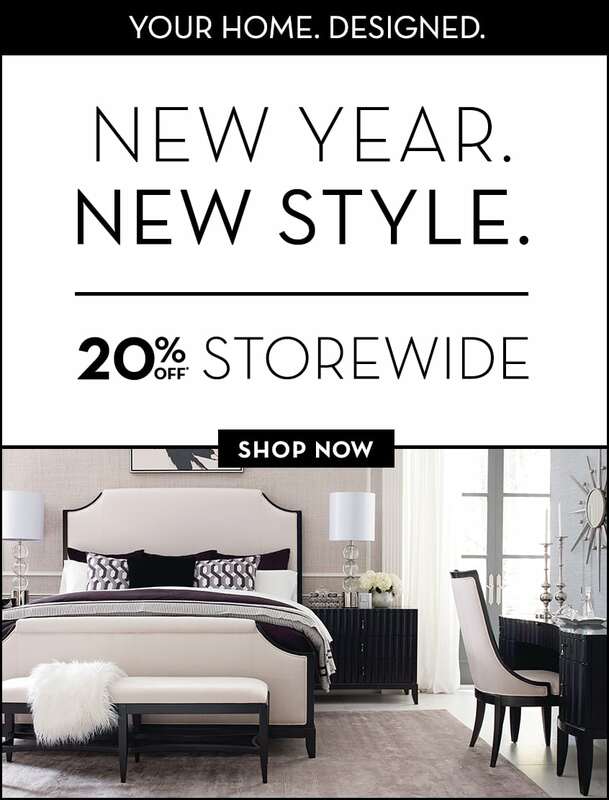 Please call, email or see in-store for details. Traditional craftsmanship and modern day design have found the perfect companionship in the Marquis De Ville collection. Flawlessly carved crown edging and smooth gentle curves are present throughout every piece in this collection. If it's not the revered cherry veneers, gorgeous antique brass & pewter accents, durable hardwood solids/rubber wood and distressed brown finish (with wire-brush highlights) that captures your eye, the hidden features, like felt lined drawers, add an extra contemporary allure. 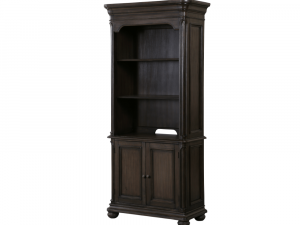 This practical bookcase is deemed a modern day gem, highlighted by optional matching side piers, adjustable shelves, cabinet doors with wood handles and wire management access. 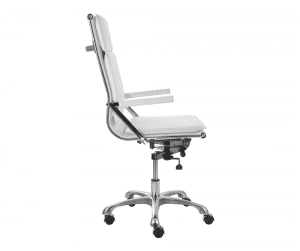 Smart, stylish, and ergonomic, this contemporary low-back office chair is perfect for any type of work space. White leatherette wrapped padded seat and back cushions. Solid steel arms with neoprene arm pads. Available in black or white, with chrome finish. Collection available to order in-store.